It’s simple, patients and their families want a side of kindness with their healthcare. I interviewed the kindest people on the planet and developed a no-fail seven-day challenge to bring more empathy and compassion into healthcare. Best of all, none of them cost any money! Smiling helps patients and families feel less stressed about a test or a treatment. Smiling lowers blood pressure and improves quality of life of residents of long-term care facilities. There’s a new mantra in healthcare called slow medicine, and it means giving healthcare practitioners ample time with the patient to hear their story and answer their questions. Studies show that slow medicine leads to a more accurate diagnosis and greater buy-in from patients on treatment plans. Part of being in a busy healthcare provider in a hurry is that you feel reluctant to sit down when speaking with patients and their loved ones. Researchers at the University of Kansas Hospital conducted a controlled study of 120 patients admitted for back surgery. Half of the time, the provider stood while interacting with the patient, and half of the time, they sat beside them. When the provider sat, patients said they liked the provider more and had a better understanding of their medical condition. Slowing down and sitting down is kinder for patients. And it’s good for the wellbeing of healthcare providers. Meditate, listen to something natural like the wind, or pay attention to the sound of your breathing and the full feeling of air in your lungs. Centring yourself rids you of disquiet, and helps your patients feel calmer. Early in my career as an ER physician, I used to dread patients who came to the ER surrounded by family members, especially the ones who in their role as advocates asked me lots of questions. At those times, I felt anxious because I was afraid of failing to meet their expectations. The problem was that I was tuning in to my distress, not theirs. It wasn’t until years later, as I sat at the hospital bedside of my own parents, that I was able to see things clearly from their point view. After that, I could understand quite well their fatigue and sleep deprivation, their frustration at a healthcare system that is often inefficient, and their fears and sadness for their loved one. Today, as I walk into the cubicle, I make a point of introducing myself with a smile to the patient, followed by each and every person at the bedside. I want to acknowledge each so they know I see them as the patient’s angels on Earth. Time pressure and jargon are the enemies of clear communication between healthcare providers and patients. Put yourself in your patient’s shoes –how would you like your healthcare provider to listen and respond when the roles are reversed? Patch Adams proved that a doctor can be funny and competent at the same time. If you’re not the clownish type, try a little humour. You’re human. Why not act like one? Don’t take yourself too seriously. Patients and families can accept that medicine is uncertain, and health professionals can’t possibly know everything. It took me a long time to get comfortable saying to patients, “I don’t know.” Today, I have no problem telling a patient I need to bone up on some medical information. If you make a mistake, admit it, and apologize. If you’re having a bad day or a personal problem, tell a trusted colleague. There is nothing more annoying than the service representative who asks if there’s anything else they can help you with after failing to address the main purpose of the call. 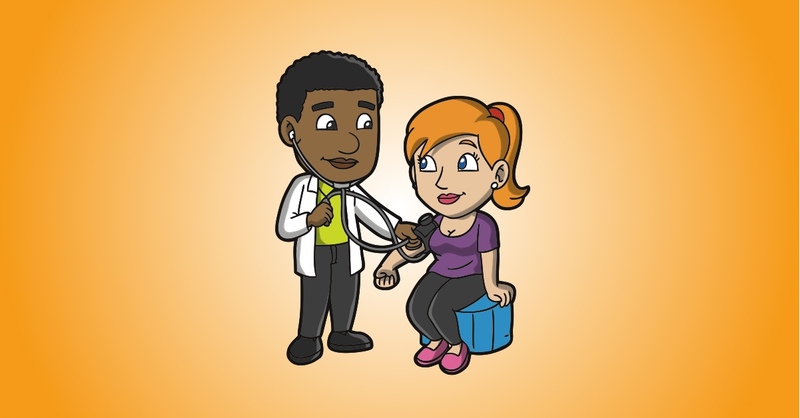 In healthcare, close patient visits by asking them if there’s anything else about themselves or their symptoms they want or need the provider to know. That tells them their provider values accurate two-way communication over speed, which relieves their fear of correcting some important detail after the fact. And every once in a while, that crack in the doorway encourages the patient to add or clarify some details that affect an accurate diagnosis. Done with a smile and some eye contact, and it’s a great builder of empathy and kindness.